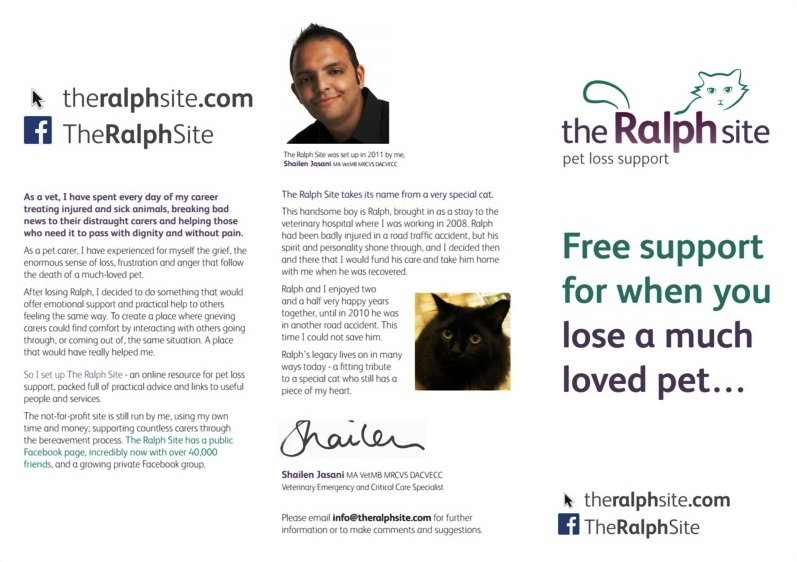 TO VETERINARY PRACTICES: if you would like hard copies of any of these materials for giving out to pet carers, please let us know using the Contact Us form or at shailen@theralphsite.com and we will be happy to send some to you. 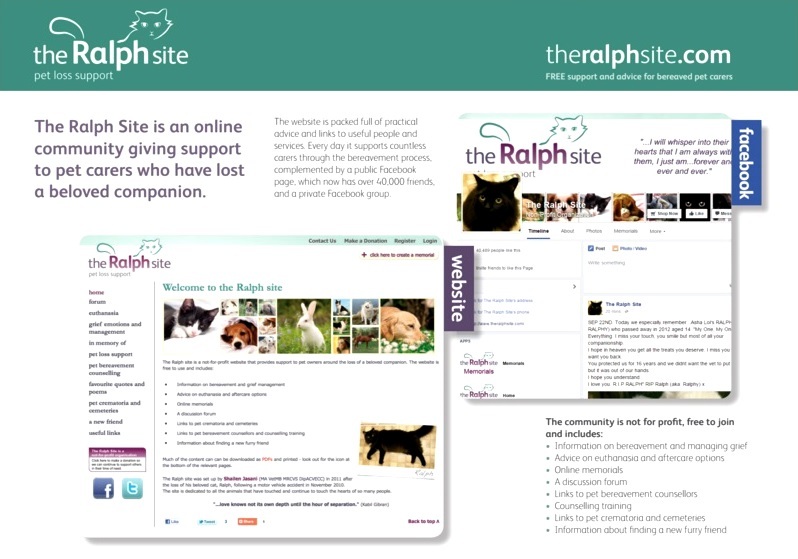 "I would like to thank you for setting up the Ralph site, I had to put my cat to sleep...I just want to say these few weeks have been so hard and your site has helped me so much. All the kind [Facebook] comments from all the strangers I meet and they become a friend, you meet all these wonderful people, who make me feel that I did a good thing, thank you once again for your site. I always recommend it to people who have been in a similar situation like I was a few weeks ago". These 4-sided 'Business' cards are folded along the short edge and are ideal for when you want to give your clients something smaller and more discreet than a flyer. They may also be a better fit for sympathy card envelopes. 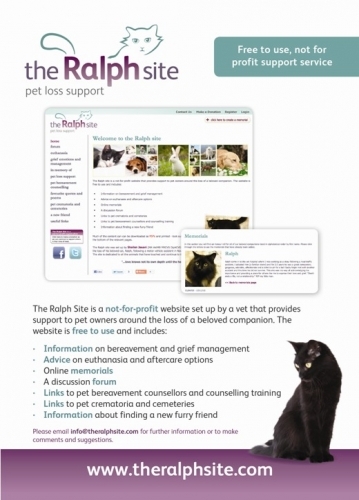 "Thank yo so much for creating this site for people to express their feelings and grief after losing their pets. I've been through it a few times now and it is a very stressful and upsetting time which takes ages to heal, and its nice to know there is this site where we can share our feelings with others knowing they will understand as they've been through it themselves as it does help to talk"